In 1865, Lewis Carroll wrote arguably one of the most important children's novels in the history of literature: Alice's Adventures in Wonderland. Even at the time of it's publication, the novel was considered a masterpiece. Imaginative and strange, the novel utilized tropes that were not new to writings for children, such as a lost child and magical animals, but presented them in a way that turned them on their head. The novel plays with math, logic, and language in a way that was altogether new and remains an inspiration for modern writers. 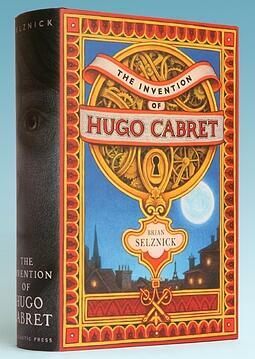 The scope of the world created in Carroll's novel changed the face of literature for children. Carlo Collodi published The Adventures of Pinocchio, L. Frank Baum wrote The Wizard of Oz and other stories featuring Dorothy and the magical land of Oz. J.M. Barrie wrote Peter and Wendy. Beatrix Potter began writing and drawing her captivating stories of the animals found in any British child's garden. Any one of these stories is easily recognized and readily loved by children today. 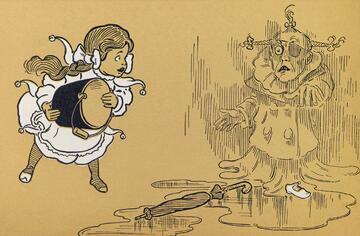 Adventure stories began to rise in popularity in the late 19th century, as well. Robert Louis Stevenson wrote his enduring story of piracy and betrayal, Treasure Island while Rudyard Kipling captured imaginations everywhere with The Jungle Book, set among the animals and forests of India. In the early 20th century, Frances Hodgson Burnett wrote the classics The Little Princess and The Secret Garden, adventure/mystery novels notable for their focus on girls as protagonists rather than boys. In the United States, the coming-of-age novel was beginning to take hold. This type of novel is still popular today and focuses on the events that mark the transition of the protagonist from innocent and naïve to more aware and responsible. Mark Twain wrote Tom Sawyer and The Adventures of Huckleberry Finn while Louisa May Alcott penned Little Women, Little Men, and Jo's Boys. In 1908, Kenneth Grahame wrote The Wind in the Willows, continuing one of the oldest traditions of children's literature: anthropomorphic animals. In 1926, A.A. Milne created one of the most popular children's book characters of all time: Winnie-the-Pooh. The four books starring Pooh have been published in dozens of languages and are one of the first children's stories to focus on the fleetingness of childhood and the bittersweet nature of growing up. Pooh continues to inspire today, featuring in songs, television shows, and movies. In 1937, the Caldecott Medal award was created to honor prestigious and outstanding picture books. The medal is named for 19th century illustrator Randolph Caldecott. The first winner was Dorothy P. Lathrop for her book Animals of the Bible. Since then, winners have included Ludwig Bemelmans' Madeline, Robert McCloskey's Make Way for Ducklings and Blueberries for Sal, Maurice Sendak's Where the Wild Things Are, Chris Van Allsburg's Jumanji and The Polar Express, and Brian Selznick's The Invention of Hugo Cabret. Around the same time, Laura Ingalls Wilder began publishing her Little House on the Prairie series. Though the nine novels (one of which was published posthumously in 1971) are based on her own experiences growing up on the American frontier during the late 19th century, they are typically considered fiction and are shelved as such in libraries and bookstores across the country. This idea of the semi-autobiographical children's novels can be traced back to Louisa May Alcott's Little Women, which was loosely based on her own childhood experiences and those of her siblings. Esteem for Wilder's books has spanned generations as children today are still picking up these books, and reruns of the popular '80s television series can be seen on numerous channels. They are enduring classics loved by both children and parents, and the idea of a series of children's books centered around the same character can be seen again and again throughout children's literature. In 1937, Dr. Seuss publish his debut book. Dr. Seuss's And to Think I Saw It on Mulberry Street was released to critical acclaim, capturing the imagination of not only children, but parents. His iconic illustrations and charming rhyme scheme make him a perennial favorite of young children, and his books have been adapted again and again into movies, television shows, and stage plays. That same year, J.R.R. 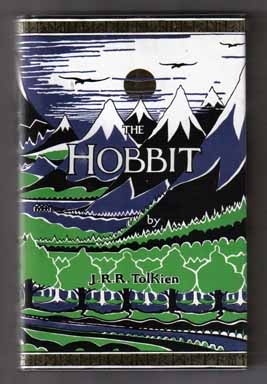 Tolkien published The Hobbit, the book that would become the prequel to his masterpiece, The Lord of the Rings, which inspired the tropes and conventions for the entire fantasy genre and which have been adapted into some of the most successful movies in modern film. The book was nominated for a Carnegie Medal and desire for a sequel was at a thrilling high. Tolkien brainstormed that sequel and the world of Middle Earth with good friend C.S. Lewis, who shared his own fantasy world with Tolkien during their decades-long friendship. Lewis published the first of his iconic Chronicles of Narnia: The Lion, the Witch, and the Wardrobe in 1950. The entire series is considered a classic of children's literature, and like Tolkien's master works, has been adapted into film, TV, and radio. The 1950s also welcomed E.B. White's Charlotte's Web. The story of the friendship between Wilbur the pig and Charlotte the spider has been a favorite of children almost since its publication. It was named a Newbery Honor book, though it did not win. Later in 1970, however, it won the Laura Ingalls Wilder Medal, as did another of White's books, Stuart Little. Both Charlotte's Web and Stuart Little have been adapted into live action and cartoon films. The 1960s and '70s belonged to Roald Dahl, beloved British children's writer. He published his second children's book, James and the Giant Peach, in 1961 and followed it with classics like Charlie and the Chocolate Factory, Fantastic Mr. Fox, The Witches, and Matilda. These books cemented him as one of the English language's most important writers. Besides being enduring classics, his books have been adapted numerous times into film by such notable filmmakers as Tim Burton and Wes Anderson. Also during this time, Susan Cooper published her Dark Is Rising Sequence. The Outsiders was published in 1967. S.E. Hinton's controversial book is partly credited with forging the young adult genre, which includes books geared for children aged twelve through eighteen. In 1970, Judy Blume published her first novel and many other books like Are You There God? It's Me, Margaret, Deenie, and Blubber. The 1980s brought Sarah Plain and Tall, Hatchet, and more. The television show Reading Rainbow also premiered in the '80s on public television, bringing even more attention to notable picture books of the time, continuing on into the '90s. Modern children's fiction has seen a surge of growth in the last thirty years. Books like The Giver by Lois Lowry, Holes by Louis Sachar, Philip Pullman's His Dark Materials trilogy, and the poetry collections of Shel Silverstein captivated readers in the 1990s. 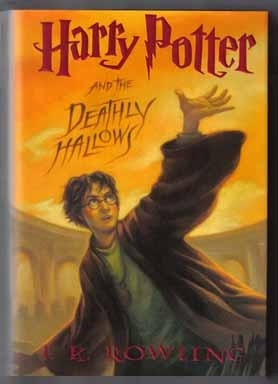 The last twenty years have become known as the golden age of young adult literature, largely due to the popularity of J.K. Rowling's Harry Potter series which sold so many copies that children's literature was given its own best sellers list, separate from the adult best sellers list. Since then, series have dominated the market with authors like Rick Riordan, Eoin Colfer, and Suzanne Collins publishing popular books that are loved as much by adults as they are by the children for whom they were written. With more books for children being written then ever before, it's safe to say the world of children's literature has exploded. Who knows where it will take readers next!